I don’t cook many pork recipes, but I have a friend who tried this one and said she loved it so I had to try it. 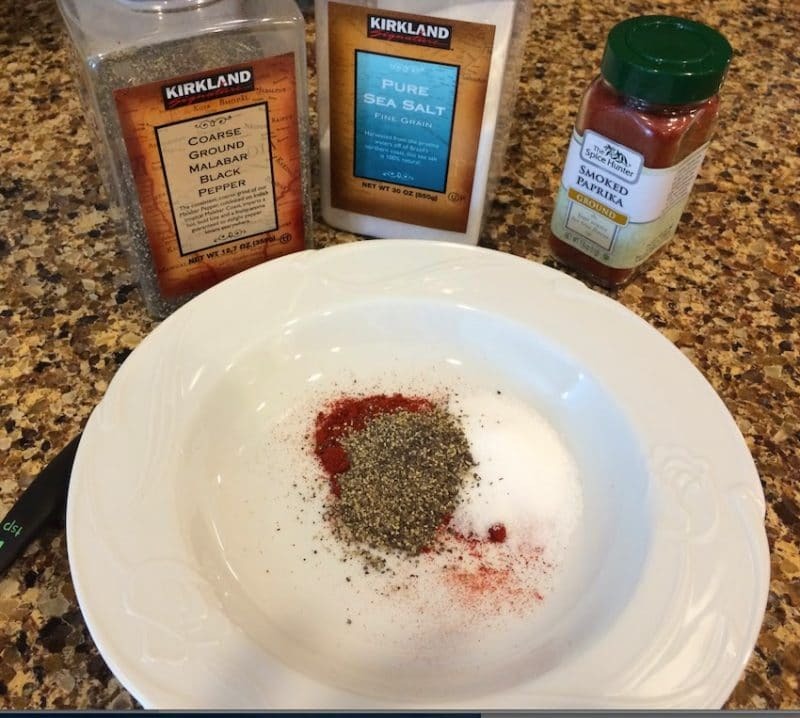 Thanks Jillian for sharing this recipe! She found this one at Cooking Light. I’m from the south, so it’s really hard to find good barbecue out here where I live so I typically just don’t bother. But this recipe is great and it’s absolutely worth repeating! What makes this recipe taste so good is the smoked paprika. Not regular plain ole paprika, but smoked paprika. 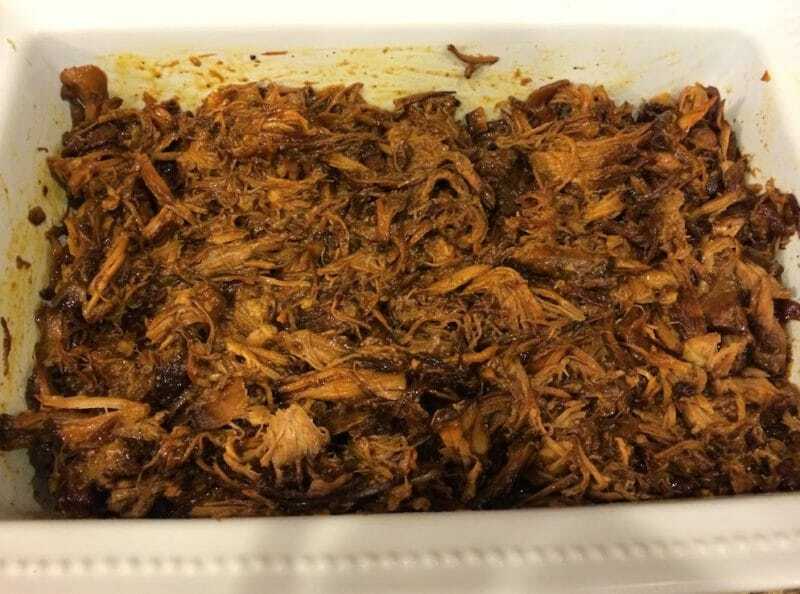 It really gives it a smoky flavor and it reminded me of my southern barbecue from back home. This one is gluten free (use gluten free soy sauce and make sure your chicken stock is gluten free) and dairy free. Make sure you read all your labels to ensure everything is gluten free if you are going that route! One thing I want to point out is this recipe calls for balsamic vinegar. I love flavored vinegar and I had a peach balsamic vinaigrette on hand, so I used that. Regular balsamic vinaigrette does the trick, but if you have flavored, use it! I love my crock pot meals, so take advantage of this one! This recipe goes great with baked beans and cole slaw. It’s evern really tasty on rolls for a sandwich!! 1. Heat a large skillet over medium-high heat. 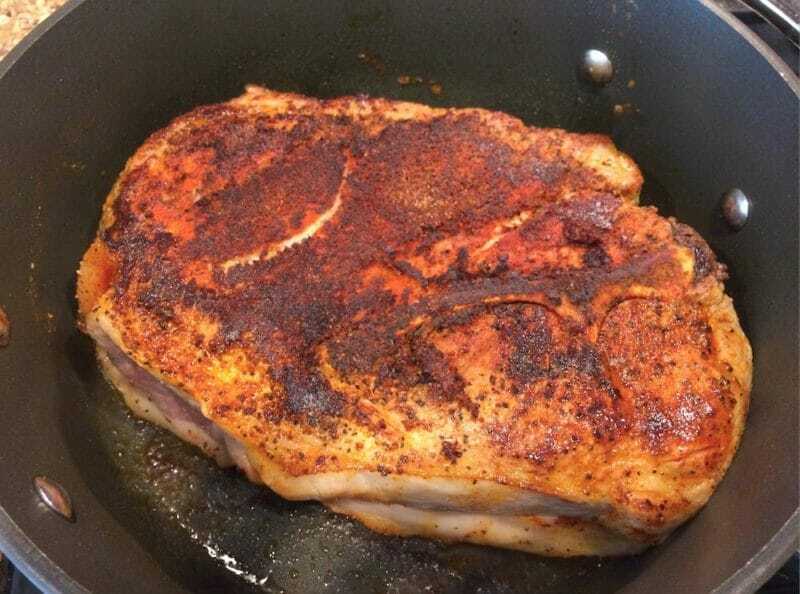 Combine paprika, 1/2 teaspoon salt, and black pepper; rub evenly over pork. 2. Coat pan with about 1 tsp of olive oil. Add pork to pan; cook 10 minutes, turning to brown on all sides. 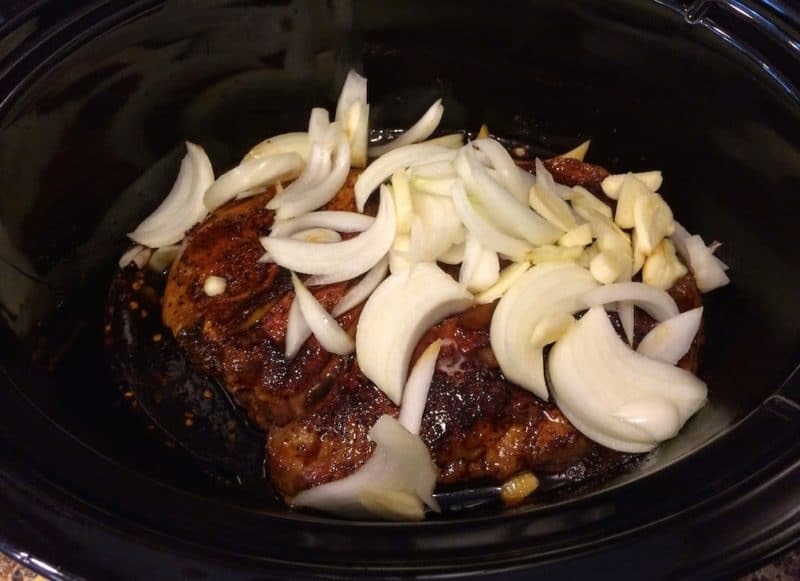 Place pork in a 6-quart electric slow cooker. 3. 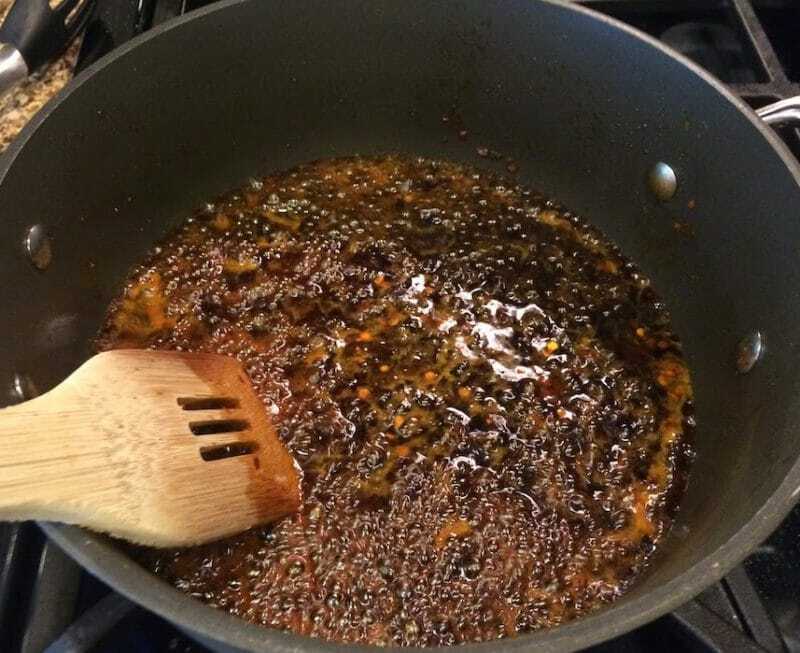 Add stock and next 4 ingredients (through crushed red pepper) to skillet; bring to a boil, scraping pan to loosen browned bits. Add preserves, stirring with a whisk. 4. Pour mixture over pork; top with onion and garlic. Cover and cook on LOW 6 1/2 hours or until pork is very tender. 5. Remove pork from pan, reserving liquid; cool slightly. Shred with 2 forks. Remove onion with a slotted spoon; add to pork. 6. Place a large zip-top plastic bag inside a 4-cup glass measuring cup. Pour cooking liquid into bag; let stand 10 minutes (fat will rise to the top). Seal bag; carefully snip off 1 bottom corner of bag. Drain drippings into skillet, stopping before fat layer reaches opening; discard fat. 7. Stir bourbon into drippings; bring to a boil. Cook 10 minutes or until mixture is reduced to about 1 1/2 cups. Combine 2 tablespoons cold water and cornstarch in a small bowl, stirring with a whisk; add cornstarch mixture to sauce, stirring constantly until thickened. Stir in remaining 3/4 teaspoon salt. Drizzle sauce over pork; toss gently to coat.